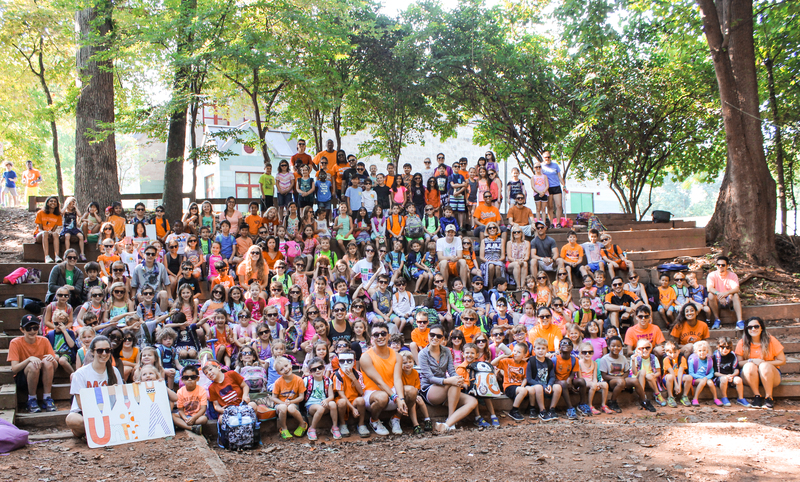 For over sixty five years, Green Acres School Summer Camp has been operated by Green Acres School, a non-profit independent school, located in North Bethesda, Maryland. The Camp serves children aged three to twelve. There are 320 children enrolled in the camp. The staff of approximately ninety people.The Director of the Camp, Marylouise Bracho, is an employee of the School. For staff, the 2019 camp session starts with Orientation on Wednesday, Thursday & Friday, June 19, 20 & 21, 2019. For children, camp begins on Monday, June 24, 2019, and ends on Friday, August 2, 2019. Staff has cleanup in the afternoon on Friday, August 2, 2019. The camp day for staff is 8:15 AM to 3:30 PM. There is no camp program on weekends or on Thursday, July 4, 2019. It is important that you are able to make the full six-week commitment. The Kreative Kangaroo program is a full day (9:00 AM to 3:00 PM) six-week session for four year olds. There are typically twenty-four children in the unit. The unit is led by a Unit Leader with a Lead Counselor and a Counselor assisting. Campers begin the day in their homeroom. Morning activities include art, woodworking, science, music, sports, and various free choice activities in the classroom. Campers have swimming five days a week. There is group time and outside time every day. Campers eat lunch with their group followed by rest time and playground or choice time. 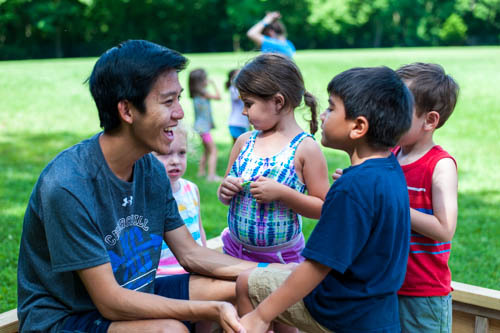 The Junior Camp is a six-week session and offers choices in arts and crafts, dance, drama, music, science, sports, and woodworking to children entering Kindergarten through 1st grade. Each day campers gather in the Gully for a period of song, skits, and announcements. Morning activities include instructional swim and snack (provided by the camp). After lunch there is a short quiet time and then free swim and mixed-age activities. In the Junior Camp, campers are grouped in units by grade. Each unit has three homerooms of 15 to 20 campers. Units B and C offer one special Extended Day. Junior Camp staff for Units A through C are usually generalists who lead/assist children in a variety of activities during the camp day. The Senior Camp program is offered to campers in two three-week sessions. Senior Camp begins each day in homeroom. The camp day includes five activity periods chosen by the camper for each three-week period. The activities offered include: art, computer, dance, filmmaking, music, digital photography, drama, cooking, photography, science, reading & math clubs, drones, swimming, sports, and woodworking. After lunch, there is one activity workshop chosen by the camper on a daily basis. Campers are placed in homerooms by grade and then attend chosen activities in mixed age groupings. Outdoor education trips are offered during the second session. Senior Camp staff are usually specialists who lead/assist a specific subject activity in the morning and lead or assist with a variety of activities in afternoon workshops.